Weston style monogram with a chain knot accent. Available as a single letter monogram or three letter monogram. 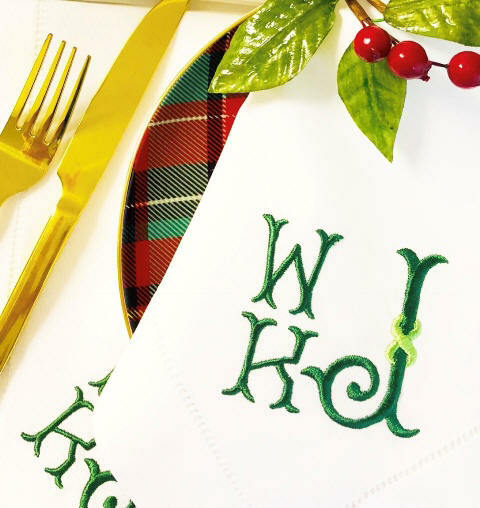 Cocktail napkins and placemats are embroidered with a single letter monogram. Gift boxed with ribbon. Prices below include the monogram!